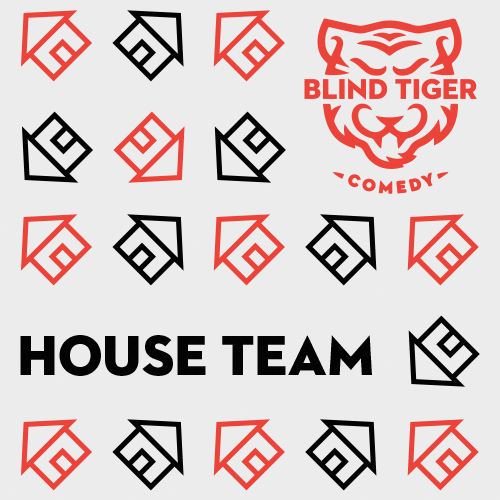 Blind Tiger Comedy runs four full semesters a year, interspersed with electives, intensives, and other delights. 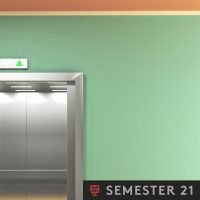 Our spring semester, which runs April 1 – June 13, 2019 has been announced! Looking ahead? Our summer semester will run July to September, 2019. June to September, we also run SUMMER THUNDER, a series of one-off electives, intensives and one-of-a-kind classes (including many with exciting out of town friends of Blind Tiger) designed to build your comedy tool kit. Stay tuned here or via our email list for the latest on our class schedules. Interested in trying improv but not sure you’re ready for a full class? We run free Intro to Improv classes the first Friday of every month at 6pm at Little Mountain Gallery (195 E 26th Avenue). Find the next one via our Facebook page or just show up at the space! Improv for moms is an intro to improv class for folks identifying as moms (grandmoms too! ), with a relaxed attendance policy. Our classic scene study class is designed to get you reps on what you need reps on. Do scene work and get direct, personal feedback every week. This advanced class with an extra-small class size means you work intensively on your character work with Aaron Read, with custom feedback and exercises. Our brand new Bloc Program is here for you to take the next step. Build your own ensemble and get customized coaching & directing from one of BTC’s world-class faculty. Read more and apply here. *Notes! Payment for all classes is due within a week of registering, and registration is non-refundable within a week of your first class. Got questions? Email us at directors@blindtigercomedy.ca. Click one of the class titles above for more info or learn why our classes are so special. At Blind Tiger Comedy, you’ll learn how to create scenes and shows that audiences love. You’ll study and perform with members of Canadian Comedy Award nominees and winners The Sunday Service and Hip.Bang! as well as the rest of our stacked faculty, and find your voice in one or all of our long form, short form, sketch, or stand-up streams. Our classes prioritize performance opportunities, and senior students may be invited to audition for our touring and house teams. While each teacher brings a unique voice and approach to a class’ particular content, the core curriculum of each class will be consistent. Want to take a class but can’t make the time listed? Join our mailing list at the bottom of this page and you’ll be updated every time we announce new classes. Five or eight weeks. One show. $300. In this course you will learn the basics you’ll need to dive confidently into the world of improv. You will learn the terminology used in improvisation, how to build the basic scene, what makes a good offer, and what an “offer” is. You’ll get to know the value of playing at the height of your intelligence, and understand the importance of joy in live improv. By the time you’re finished with Intro 1, your final showcase will be a breezy walk in a crazy fun park. You will move onto Intro 2 confident making offers, supporting your scene partner, and comfortable being on stage. Registration for this class will open Thursday, March 7 at high noon PST. Five or eight weeks. Two shows. $300. In this course you will explore the keys to making an improv show and improv scene compelling to watch. You will learn how to create dynamic characters, leverage your character’s status, and play with sincerity. You’ll learn the importance of variety and commitment in your offers, and the value of letting a scene breath. No better way to practice being dynamic than in front of an audience with two performances! You will move onto Intro 3 with the ability to create with your scene partner a full, quality scene, and an ability to commit wholeheartedly to your character. This course pushes your improv into the higher levels of scene work. You will become more and more able to do scenes with characters outside yourself, filled with hilarious details and emotion, and be more and more comfortable addressing any suggestion or situation. You are learning to host your own shows, tackle all kinds of scenes, and become more confident playing with more improvisors at the same time. In short, this course loads the tool belt and begins to help you wield those tools in a way that will make you feel like you’re good with tools. This course seeks to solidify you as a well-rounded, knowledgeable performer, focusing particularly on your group game and group scene skills. You will become comfortable with any suggestion, character choice, or scene style, and can adapt on the fly to the needs of a particular scene. This class also features a significant diagnostic element, where your instructor will identify the areas of scene work you need to improve and help you get there. The focus of this class is you and suiting you up with the the skills and techniques that will best prepare you for the areas of comedy that excite you the most. You will move onto the advanced streams with the ability to be successful in any scene or show you commit to. Eight weeks. Three shows. $300. In this class you will study the basic concepts and techniques that make exceptional long form improvisation possible. You will hone the techniques of scene starts, edits, beats, narration, and monologues, while putting them into practice in the service of variety, pacing, and game. The class will study the Structured Harold, and focus on individual performers finding their voice within the ensemble. You will move onto Long Form 2 with a working grasp of Harold and the basic techniques and concepts of long form improvisation. Class is not currently open for registration. To be alerted when it is, sign up for our mailing list. In this class, you will push your long form skills into performance-ready formats. While continuing to work on advanced scene work and your confidence within a large ensemble, you will explore some of the most exciting long forms out there: Tap Out, Domino, Armando, Ghost Jail, The Bat, and beyond. You will move onto Long Form 3 with a confident understanding of the forms listed above and a demonstrated comfort working within an ensemble. In this class, you will tear into the advanced techniques of long forms: transformations, advanced edits, and meta games. You will hone your ability to commit to structures, games, and patterns that emerge from the suggestion and the scene work, without any preconceived plan. You will follow one of Blind Tigers major beliefs that stories can be told in many different ways. You will move onto Long Form 4 with a demonstrated mastery of long form techniques, a working confidence with the organic Harold, and by auditioning. 8 weeks. 3 shows. $300. In this workshop, you will work with an ensemble of senior students and your Blind Tiger teacher on projects unique to your group. The class, its lessons, and your shows will be tailored to the opportunities best suited to the particular comedic minds amongst you. This class is an opportunity to practice the core techniques of great improv, with direct feedback. Each week, you will get up on stage to create improv scenes in front of the class and your instructors, with the goal of working your comedic muscles and augmenting the technical training you’ll find in our core curriculums. Each scene study session will focus on a particular set of skills of the instructor’s selection. This semester’s focus is on creating emotional, hilarious, bold characters! That said, regardless of the theme, the primary mode of this class will be assess your scene work and give you direct, honest feedback on how to improve. We are extremely proud of sketch comedy curriculums, which were developed by Blind Tiger Comedy founders Devin Mackenzie, Caitlin Howden and Tom Hill. Each class focuses on a distinct set of skills that support your development as a comedy writer, and all centre on the notion of honing your ability to identify, hone and celebrate what you personally find funny. Eight weeks. Two shows. $300. This course focuses on developing both your voice as a sketch comedian and good writing habits. By examining existing sketches from the past and present, you will be introduced to a well of resources. You will learn the importance of positive brainstorming, discovering premise ideas from everyday life, and the value of a structured development process from page to stage. You will move onto Sketch 2 with the ability to lay the groundwork of a sketch, and a strong understanding of the relationship between the page and stage. Note: Blind Tiger sketch classes, like sketch comedy itself, are homework intensive: there will be work assigned outside class time every week. Pre-requisite: Intro 3 or equivalent writing experience. Email directors@blindtigercomedy.ca if you are unsure. This class is focused on your ability to turn a good idea into a great sketch, and begins to develop techniques for presenting a cohesive sketch set. You will develop the ability to find the best characters for a given premise, and to highlight distinct voices within your scripts. You will become skilled at producing material and not be afraid of the blankpage. You will study examples of different techniques for combining and transitioning between sketches within a given show. Blind Tiger sketch classes, like sketch comedy itself, are homework intensive: in Sketch 2 you will be expected to write a sketch a week. This in turn will help you develop your portfolio and give you a greater understanding of what your unique style and voice is. You will move onto Sketch 3 with a strong portfolio, an ability to write a wide variety of characters and types of sketches, and an understanding of more advanced ways to combine and interweave sketches within a single set. This course will expand your range as a sketch writer. You and your classmates will study and try a wide range of sketch types including audience manipulation, solo, and patience. Every week you will immerse yourself in a different style, and come out wiser, funnier, and more versatile. Blind Tiger sketch classes, like sketch comedy itself, are homework intensive: in Sketch 3 you will be writing extensively in each week, only some of which will be presented in class shows. In this class, you will lead the creation of a 15-20 minute sketch comedy project. The project is yours to define: a 15-minute solo show, a 20-person comedy play featuring everyone you’ve ever met, a short, tight sketch show on a theme, a part-video, part-dance show, or just a single epic patience sketch. You may use some, all, or none of your classmates, but the class will remain a valuable bounce board, rehearsal opportunity, and development outlet throughout. From an early stage, you will be honing and pitching your project in class in a pitch style that will work the muscles similar to those in professional comedy development. Shows mid-semester will provide a chance to stage test the work you are developing, before final performances at the end of the semester in a special show or shows. Note: As with all sketch classes, Sketch 4 students will be expected to put in substantial time in outside class time. Only polished final shows will be performed. Students who complete this class may be selected to be a part of a Blind Tiger Comedy sketch comedy house team. Assemble – Find your people. It could be a duo, a trio, a group of eight…so long as you’re thrilled about every name on the list. They can be at the same point as you in the core classes series (we recommend this) or not, though all performers must have completed Intro 2 or have equivalent experience.Performers with no Blind Tiger training are welcome to apply though teams with BTC experience will be given priority. Submit – Use our Bloc Team application form and give us a sense of your group and what you think you want to do. Registration for Bloc Teams is ongoing, submit anytime. Schedules – Fill out your availability in the form. All slots are 1.25 hours a week, but if you want something different we can work that out. Fill out your preferred slots and coach and we’ll work out the best times for all involved. Note: after registration opens, Bloc schedules are first come, first serve. Slots are not reserved until we have received payment from you for that slot. Once Bloc Team schedules are agreed upon, we are unable to be flexible on changes to your group’s schedule. Measure twice, cut once! Rehearse & Perform – Your coach will build your team a rehearsal schedule customized to your strengths, weaknesses, and goals. 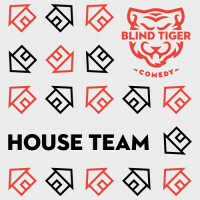 Each group will get a showcase (or two, if you do eight weeks) at a tasty Blind Tiger Comedy showcase. After two semesters of trying these out, we can say these shows quite simply rule. Cost – $500 per four weeks or $1,000 for eight. Includes four custom workshops and one show per four weeks. Payment – Your application will be reviewed and you’ll get an email from us assigning your group a slot (if one of your choices is available). Once we receive your payment, your slot will be reserved. Blind Tiger Comedy offers a rotating list of electives, drop-ins and other specialty classes that will enable students to focus on hyper-specific skills, and or focus on new creative philosophies. Four classes. One show. $150. After numerous requests, Improv For Moms is here! Improv for Moms is all about introducing people who identify as moms to improv. This class will help you dive confidently into the joy and delight of improv in the Blind Tiger style. The only difference? A sensitivity to the needs, wants and perspectives of moms. That may include a relaxed attendance/lateness policy, a focus on celebrating the unique stories of mothers, or other adjustments discovered mid-class. Chances are, Improv For Moms will be a traditional, really-fun improv class with a bunch of folks who happen to have kids! No experience is required, all mothers are welcome! Note that childcare will not be available through Blind Tiger for this first rendition of the class. Improv For Moms is not part of our core classes, and does not necessarily fulfill a pre-requisite for another class. Our first Improv For Moms class in February 2019 will be a learning experience for us, so we welcome your feedback in advance! You can contact us via directors@blindtigercomedy.ca or Amy directly at amy@blindtigercomedy.ca. Four personalized classes. One show. $225. In this intensive class–which has a low student cap to increase feedback and attention to individual development–you will learn to get into your character’s head while getting out of your own. Exercises curated and in some cases designed from scratch by Aaron will help you create rich, detailed, dynamic characters that drive strong scenes. Students will come out of this unique class with a better understanding of the characters they already play and the tools to create new characters on the spot. The class comes with a personalized diagnostic of particular character range, and some tools to help you attack those tendencies. Pre-requisite: to register for this elective, you must have completed at least Intro 2 and been given permission to take Intro 3, or explain your equivalent experience by emailing directors@blindtigercomedy.ca. We have offered a variety of one-off electives in the past, and been lucky to have an amazing cast of talented guest teachers drop by while doing shows in town. Below is a list of some former workshops we may or may not be able to offer in the future. This workshop welcomes all people who identify as women, or identify with the experiences/struggles/strengths of womanhood. Our voices are in the minority on most improv stages, and this class will serve to create a supportive space for all participants to be bold and play fearlessly. Together, we will explore making strong offers, embracing our unique voices, and taking agency on any stage. Join us for an awesome opportunity to collaborate with other dynamic femme performers from around the city! Pre-requisite: to register for this elective, you must have completed Blind Tiger’s Intro 1 class, or explain your equivalent experience by emailing directors@blindtigercomedy.ca. In this one-day class, you will get a first-hand taste of the sweet delights of writing and performing sketch comedy, as well as the methods and philosophies we bring to teaching it. You will discuss existing sketches, learn about how to identify what you find funny, core principles in writing sketch, and we will all do some writing and performing together. By the end of the day, you will have a mini-show of your own, and leave understanding better how great sketch is, and how our sketch curriculums—created by Blind Tiger founders Caitlin Howden, Tom Hill and Devin Mackenzie—can support your growth as a writer and comedian. Oh, and you’ll laugh a ton. No experience required. Sketch Sampler is not part of our core class program, and does not necessarily fulfill a pre-requisite for the sketch program. So you want to write a solo sketch, but where do you start? This solo sketch workshop will give you brainstorming skills, writing techniques, physical exercises and format techniques to help bring your character ideas to their top form. Taught by character master Kirsten Rasmussen. Come with a notebook and pen and leave with a handful of new characters. Pre-requisite: to register for this elective, you must have completed at least Intro 3, or explain your comedy writing experience by emailing directors@blindtigercomedy.ca. All the way from Finland comes a workshop that explores the personal fears we have, share and own – from the perspective of performative art. In this workshop Kaisa Kokko will facilitate your sharing your our own fears and then set the fears up on stage to be examined in performance way. Fears are often universal and we share so many fears with our fellow human beings that it is a wonderful possibility to truly invite our audiences to feel connected with the experience. The workshop will push the improvisers to go inwards first to face their own fears and then turn towards others in an honest and vulnerable exploration of fears on stage. Pre-requisite: to register for this elective, you must have completed at least Blind Tiger’s Intro 1 class or explain your equivalent experience by emailing directors@blindtigercomedy.ca. Kaisa Kokko invites you to take the stage as characters that live their lives to the fullest, thus inviting the audience to care about what happens to them. How do we find interesting characters to play and stay in? This workshop concentrates on building and maintaining full characters through imaginative and fun exercises. Pre-requisite: to register for this elective, you must have completed at least Blind Tiger’s Intro 1 class, or explain your equivalent experience by emailing directors@blindtigercomedy.ca. Do you often play emotion by stating how you feel rather than showing it? Do you crave more emotional commitment on stage? Have you received the note that you need to emote more? Whether you’re interested in playing more grounded, dramatic scenes, or you want to bring more truth to your huge characters, this workshop will focus on getting you in touch with your emotional impulses, and allowing your vulnerability to shine through. Deepen your character work and enrich your storytelling in this two-day workshop. Through exercises, scene work and coaching, students will learn to fine-tune character impulses and deepen emotional offers within their improv, touching on theatrical and dynamic staging in the process. We’ll work not only on pushing ourselves to create stronger characters and bolder choices, but inspiring our scene partners to do the same, creating scenes with impact. Emphasis here is not on cleverness, but on playfulness, connection, commitment. Challenge yourself to go deeper, fly higher, be bolder. Pre-requisite: to register for this elective, you must have completed at least Intro 1, or explain your equivalent experience by emailing directors@blindtigercomedy.ca. Led by two of the finest instructors in international improv, Keng-Sam (Reunion Island) and Amy Moule (Impro Melbourne) this is one of three that will push our students minds and comedy July 1-3. Check out all three! In this class, you will focus on the little moments in a scene. For example: body language, mime, space work, silences. You will work on how these aspects can add to a scene; to the narrative; to the tension and to the space between words. You will learn to question: How can we best use the silent moments? And tackle the moments of what to do when you feel you don’t know what to do! (eg. move, change position, change emotion, perform an activity, etc). We will work on awareness of when players are just standing and talking in a scene. Let’s get out of our head to get into our body! Pre-requisite: to register for this elective, you must have completed Intro 1 class, or explain your equivalent experience by emailing directors@blindtigercomedy.ca. In this workshop, you will take some big, nasty risks with your sketch comedy. You will be introduced to some of the more experimental sketch comedy out there, and the principles and approaches that make it work. You will be encouraged to bring your wildest, most outside-the-box premises and you, along with Tom and your classmates will learn how to hone and develop them into a form that audiences can understand and approach, if not love. And then, to celebrate, we’ll do one of the weirdest shows Vancouver has ever seen. Pre-requisite: to register for this elective, you must have completed Sketch 1, or explain your equivalent experience by emailing directors@blindtigercomedy.ca. Blind Tiger Comedy is thrilled to have world-class comedians The Pajama Men offering a one-time workshop designed to unlock the writer in you by following your instincts as an actor/performer/improvisor. We will dive deep into character development and improvisation and learn to use our characters and skills as improvisors as tools to write and perform sketches and full shows. We will start by learning to create rich, imaginary environments, complex situations and memorable personalities. We will work as a group to discover how sometimes our best ideas come when we take the focus off ourselves and support our fellow performers. Through this give-and-take method, we can all chip in to keep the funny ball in the air and free ourselves from the feeling of being put on the spot. As the course continues we will zero in on the characters you’ll create; their idiosyncrasies, voices, postures, and world view. By immersing ourselves completely into these personas we can use them as powerful writing tools, learn to surprise ourselves and come up with fresh ideas that we probably would not if we were sitting in front of a laptop in a cafe. Along the way we will keep a log of strong moments, great lines, themes and theatrical devices and build an arsenal of creative elements and look at how to craft them into sketches and shows. So you’ve written a sketch…but now, how do you stage it and rehearse it to make it funnier than before? How do you put together a sketch show that flows seamlessly and impressively from one to the next? And after that, where can you put perform these sketches and how? Join three-time Canadian comedy award winning comedian Chris Wilson of Peter N’ Chris (Just For Laughs, College Humour) for a course on punching up, rehearsing and staging a sketch show. Take your sketches from page to stage in a unique way. This course is great for people or groups with pre-written sketches that want to add some flare and a professional feel to their sketches. Pre-requisite: to register for this elective, you must have completed Intro 3 or have previous writing experience. Email directors@blindtigercomedy.ca to tell us about it, if the latter is true of you. Our outstanding, internationally-recognized friends Folk Lordz stop in for this one of a kind workshop, which offers an investigation into the cultural backgrounds and personal storytelling traditions of the workshop participants, through improvisation. A look at where we come from, and how that informs the stories we tell. Sharing personal narratives, looking at cultural genres, and detailing techniques for respectful, non-appropriative ways of integrating family tradition into your comedic voice. Pre-requisite: to register for this elective, you must have completed Intro 1 or higher. Two days. Eight hours. One show. In this class, you will take on one of the concepts most near and dear to Blind Tiger Comedy founding groups Hip.Bang! and The Sunday Service: multi-game. You will train your conception of what game can include, and then look to double, triple, and quadruple your games and others’ within a single scene. To cap it off, you and your wild-eyed classmates will attempt to put it all together in a form known for making audience’s laugh harder than they’re used to. Buckle up. Pre-requisite: to register for this elective, you must have completed Intro 3 or higher. Join Chris Wilson (Just For Laughs, CollegeHumor, Peter N’ Chris) for a two day sketch comedy workshop where you’ll learn tips and tricks on writing hilarious sketches of all kinds. Ever wonder “But, how do I think of sketch ideas” ? Well come find out! The answer on how to generate great sketch premises, write great sketches, and perform the GREATEST SKETCHES OF ALL TIME lies within. Bring a pen and paper (or computer…computer is fine) and be prepared to write (it’s a writing class). Comedy is an art and it’s a business. In this class, we dive into the little-discussed side of comedy that every successful comedian has in common: hustle. Together, we’ll discuss the tricks, principles, and ideas that make good producers great. Wondering how to go from class to having your own show? Struggling with the challenge of working with bad (and good) collaborators? Trying to go get paid to do comedy? Curious about which festivals are worth doing at what point in your career, or about strategies for applying? Nervous about how to approach heavy hitters you admire? Come get some answers. Whether you’re an experienced producer looking for representation or someone just looking to start their first monthly show, this class will sharpen your tool kit and take your hustle to the next level. Six weeks. Two shows. $250. In this course, designed for students who have never tried stand up before, you will plunge mouth-first into the joy of doing live stand up comedy. You will explore everything from how to mine material from the world around you, how to craft a basic punch line, and how to write comedy at the height of your intelligence. You will also explore the core theories and techniques that define good stand up. This class has a unique structure: for much of the semester, your “text book” will be one of the best stand up rooms in town: the Kino Café. Thanks to Blind Tiger Comedy’s partnership with Kino, you and your classmates will both attend and semi-regularly perform as part of the shows there. In addition to learning from your own stage time, the class will review and discuss the other comedians on a given show, using their strengths and weaknesses as additional learning opportunities. Students will be encouraged and expected to bring friends to these shows. This class is, in short, the perfect introduction to stand up and the community of shows and comedians doing it in Vancouver. You will move onto Stand Up 2 with a basic understanding of how to write a deliver a joke, notions of how to construct a successful set, and able to comfortably get through a three-minute stand up set. Six Week. Three Shows. $250. In this class, intended for students with anywhere from six months to ten years of stand up comedy experience, you will hone and craft your voice as a comedian, and isolate what can and/or does work for you on stage. You will work with your teacher, a professional stand up comedian, on what makes a joke successful for you, and be given repeated opportunities to work on your strengths and weaknesses in front of a live audience, with direct feedback from your instructor. This class has a unique structure: for much of the semester, your “text book” will be one of the best stand up rooms in town: the Kino Café. Each class will take place at the Kino, around the Tuesday night show. Classes will start with an hour of focused discussion before the show begins, and end with a notes. Each student will perform three times for one of the best stand up crowds in the city, and will participate in notes on their sets as well as dissection of the rest of the show’s performers. Students will be encouraged and expected to bring friends to these shows. This class is designed such that students are encouraged to take it more than once as they hone in on their own challenges and continue to improve with regular stage time and exposure. Learning about and doing live comedy is exceptionally fun, creatively satisfying, and straight-up exhilarating. Not only that, improving your live performance skills will make you a more confident, expressive communicator, and a far more effective collaborator. Plus, training and doing shows with Blind Tiger Comedy means being part of a community of like-minded individuals learning from and performing with a faculty of dynamic, hilarious comedians, all while experiencing the rush of earning a laugh or nine from your friends and peers.